Learning to play barre chords will require you to build up the strength in your fingers to push those strings down on the fretboard and you will need to master complicated patterns and commit a sequence of chords to memory in order to blow minds away with your awesome skills. You’re guaranteed to come across the faithful barre chord in all its complexity. When you start out, it will feel like you need fingers of steel to muster enough strength to make a clear sound, and the pain may be the worst thing of all. However, there are a few tricks you can use to make your learning process easier on your mind, and those battered fingers. Barre chords come in all sorts of crazy shapes. Some will require you to bend and stretch in ways you never thought you could, but by simply dropping a finger or two in the right place you can make it so much easier on yourself. “E-Shape”) can be played anywhere; up or down the fret board. Not only do you need to bar your index finger across the entire fretboard requiring hulk like strength, you’re using all four fingers that need to be individually bent in exactly the right position. Not very beginner friendly, right? So, take a look at this second example (called “A-shape”). 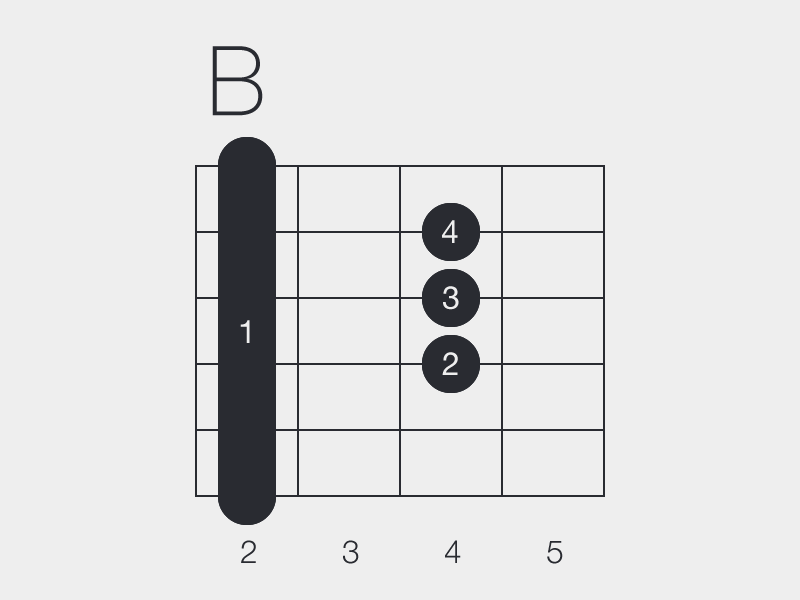 This requires your first and second fingers to be barred across two separate frets. This is called “double barre” and is also no walk in the park. If you are going down the hard rock route using fierce metal sounds you can use the by far simplest formation for any aspiring beginner. 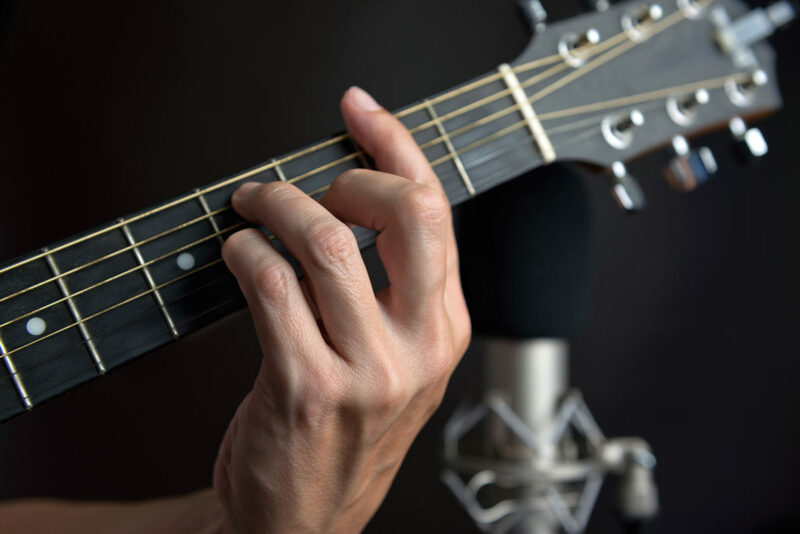 Using standard E tuning, it is the humble two or three finger power chord. 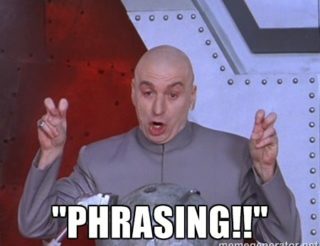 No barring necessary! Just your first, third and maybe your fourth finger if you’re feeling ambitious. Another genius cheat for the rockers out there – tune your guitar to drop D, and what did require three fingers now only requires one. 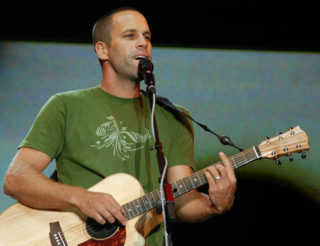 Using just one finger is the easiest way to learn guitar. This will make your lower E string match the notes on your A and D string. Any chord with its root (lowest note) on the bottom string can be used in this way. Simply bar your finger across your lowest three strings, and your lower string will play as if two frets along your fretboard. Be warned! Power chords are a “quick fix” if you want to rock along with complex barre chords. The only problem is that they omit an important tone of the chord: the third. For example, the E in a C major chord. Without the third you loose the major or minor character. While perfectly adequate for rock songs, especially if you’re using distortion, you may find yourself faced with an overwhelming urge to uphold the integrity of the music in other cases. 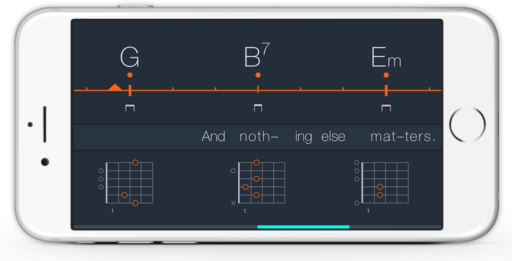 Here’s where Uberchord app rocks in – an intelligent app to help you find a finger-friendly version of the chord you’re trying to dominate! All you have to do is sort the list of alternatives to find the easiest voicing for you. Surprisingly, some chords become even easier by adding an extra note (tension). But handle these with care. The added colour do not always fit in the song that you are playing. Just try them out and see if they sound good to your ears. 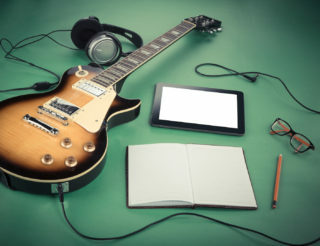 The key to mastering the guitar, is to play around with a few ideas and find out what’s most comfortable and what works best for your current skill level. If it’s too difficult for you right now, simplify, and come back to it. Just don’t give up! Great video! Thanks for the walk through and all the details. Excellent article. It summons up how to approach barre chords and does it with a touch of humour as well. Good job! Are you guys going to make the app available for the Google Play Store? Lots of people have Android phones, and I’m one of them. Please advise.